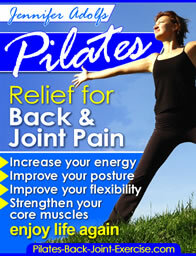 Sore Hips from Pilates or Running? I like to keep quite active and up until 10 months ago I could run 12km with out any trouble. I then did a Pilates class and arrived late to the session but the instructor got me to go straight into the exercises with out any warm up. I didn't think any thing of it at the time, the next day I had great difficulity getting up from and getting down into a seated position and in bed at night when I roll around I also have pain. When I run I can barely move for a week. I haven't done any Pilates since this happened. I have been to Physio and I'm currently seeing a Chiropractor without much or any relief. 10 months into this and I'm fed up I'd like to return to my normal activities without the pain I'm feeling on a daily basis. What can you recommend I do or who do you reccommend I see to fix this problem. Hello Kerrie and sorry to hear about your situation. Unfortunately, when you are in a Pilates Class the instructor doesn't always know your health history and cannot monitor each person individually. It's hard to say what exactly caused the pain in your hips. I am or was an avid runner myself and do Pilates as well. From my experience when I get away from running and come back to it my hips always seemed tight, right in the flexors or psoas area. I have flat feet and found that one of my feet had actually dropped more or was flatter than the other and this is the same side where I was having the hip pain. I started using the Pilates foot corrector or, you can build up the arch using a ball to roll along the arch or practice grabbing it. This exercise helped my hip pain go away. It sounds like you may have a pelvic alignment issue or such. If this is the case I have a few pages that may help you do some sort of adjustment or get relief at home. Hip stretches for pain and pelvic imbalance. I would recommend getting a one on one session with a certified Pilates equipment instructor to have them evaluate your posture and movement patterns to see what is causing the lingering pain. I'm surprised the Physiotherapist can't figure it out.